Protein is a key nutrient for active individuals, be they endurance, gym, lifestyle or team-sport focused. While carbohydrate intake can often change day-to-day, depending on the workload of that day, protein intake should never be compromised. To maximise muscle recovery and lean muscle mass gains, ideally you should be having a high-quality protein feeds of 20-40 g every 3-4 hours. PROTEIN20 can be used immediately post-exercise or as a daily snack to meet your protein needs. Do not consume more than 2 per day. There are thousands of proteins in our bodies, all of which perform a variety of daily functions to promote health, well-being and performance. We must consume adequate protein in our diet so that we have the relevant building blocks to make the new proteins required for our body to function. When strength training, the combination of lifting weights and protein intake is used to build new proteins, especially the contractile proteins. This repeated muscle damage and protein feeding results in muscle growth. In relation to endurance performance, protein intake is equally as important. In this situation the stress of endurance exercise creates a signal to instruct our muscles to make new proteins involved in aerobic energy production. For nutritional information about the individual flavours please contact customer service. Example below is for Chocolate Peanut Crunch flavour. *Reference Intake of an average adult (8,400kJ/2,000kcal). Milk Chocolate (30%) (Sweetener: Maltitol, Cocoa Butter, Whole Milk Powder, Cocoa Mass, Emulsifier: Soy Lecithin, Flavouring), Humectant: Glycerol, Soy Protein, Milk Protein, Collagen Peptides, Sweetener: Maltitol, Low Fat Cocoa Powder, Peanuts (1%), Cocoa Butter, Palm Fat, Whole Milk Powder, Emulsifiers: Soy Lecithin, Sunflower Lecithin, Colour: Plain Caramel, Flavouring, Salt, Sweetener: Sucralose. PROTEIN20 is perfect for anyone looking for a high protein, low sugar snack. When should I use PROTEIN20? These bars are great as a day-to-day snack, a convenient on the go protein option or post-exercise. 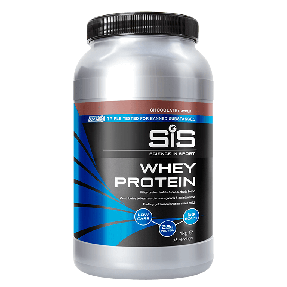 How does PROTEIN20 differ to the SiS Protein Bar? 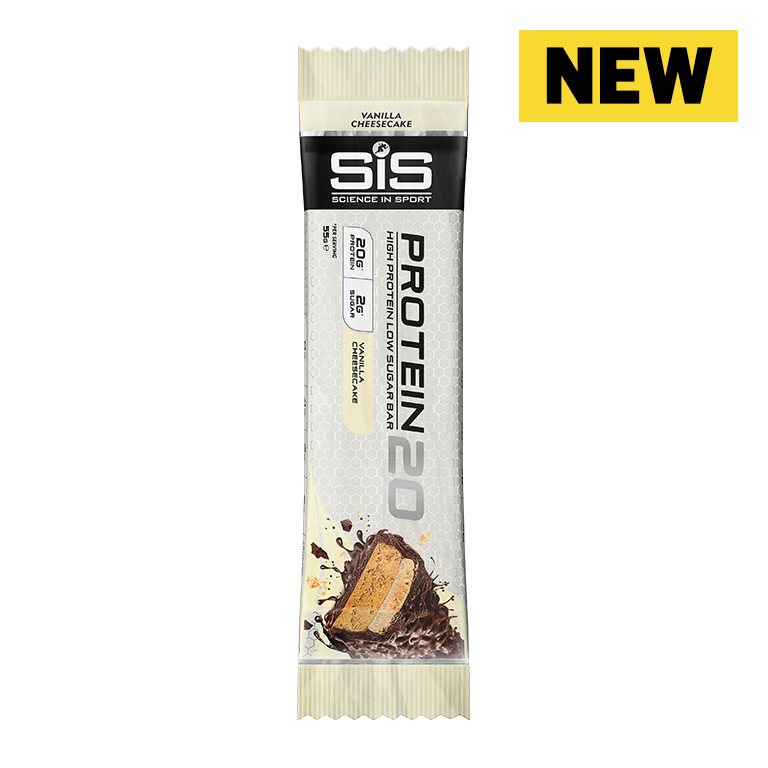 Both Science in Sport protein bars have 20 g of protein. 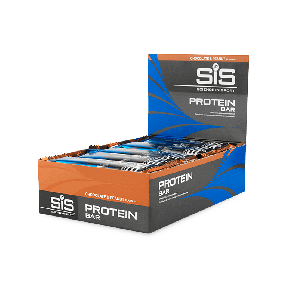 The SiS Protein Bar is a more complete recovery option with higher sugar, for use on hard training days or after tough sessions. Whereas PROTEIN20 is a high protein, low sugar protein bar for daily snacking. Ideal for after a gym session, easy spin or recovery run, where a lower carbohydrate intake is required. Do I need to take whey protein shakes too? Whey protein shakes provide a high-quality protein serving. In this way, both protein shakes and PROTEIN20 should be viewed as an option for a protein serving. The recommended pattern of protein intake throughout the day would be 20-40 g of protein, every 3-4 hours. Protein shakes and bars can help meet your daily needs. How can these be used after exercise? PROTEIN20 can be eaten within 30-60 minutes of finishing a workout, to deliver the protein required to support the process of muscle recovery and rebuild. Which source of protein is used? PROTEIN20 uses a combination of milk protein, soy protein and collagen peptides. Is this a healthy option vs a chocolate bar? Protein is a highly satiating nutrient, keeping you fuller for longer when compared to carbohydrates and fats. Additionally, protein is a key nutrient for those undertaking exercise, as it supports in a range of health and performance areas. PROTEIN20 can therefore be viewed as a healthier alternative to confectionery. How does this fit into my daily diet? Alongside a balanced intake, with a range of foods and nutrients, PROTEIN20 can be used as a healthy, daily snack option. PROTEIN20 is not suitable for vegans, vegetarians, coeliacs, lactose intolerant or those with nut allergies. Is it Inform Sport tested? Yes, Science in Sport PROTEIN20 is tested under the Informed Sport programme.